The newest luxury hotel in Dublin has arrived and you, the Offaly Express readers, could be in with a chance to win a two night break there! The Address at Dublin 1, launched by Brian and Ciara McGettigan, of the Irish family owned McGettigan Hotel Group, is set to offer the Dublin market a state of the art, high-end boutique hotel option from its central location on Amiens Street. 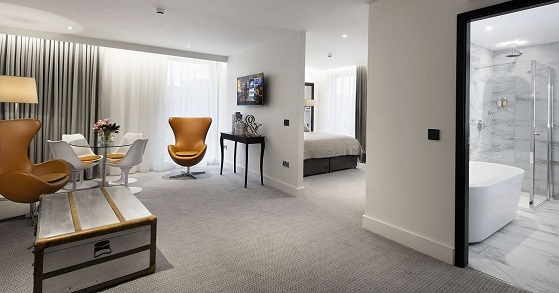 The Address at Dublin 1 is a hotel where your stay will be the perfect blend of refined comfort and exclusive service, with high standards of luxury and technology throughout all the guest bedrooms and suites. 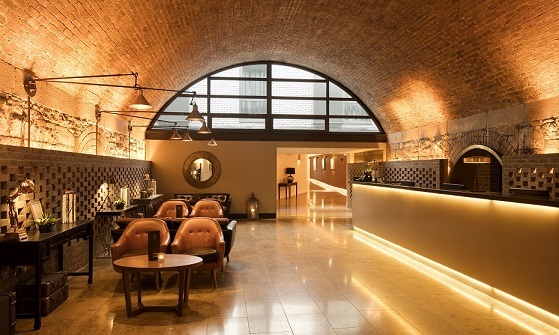 The boutique hotel, which boasts over 80 rooms, has been built on the site of the North Star Hotel, creating a unique ‘hotel within a hotel’ experience. Each of the luxurious bedrooms and suites boast the highest level of detail and high quality finishes, including state of the art in-room technology that is not yet seen in the Dublin hospitality market. “We did a lot of research into what services the top hotels around the world were offering and have aimed to combine the best in class technology to our guest rooms and suites” said McGettigan. Features include automated curtains and lighting and floor sensor lighting that lowers brightness levels to help guide guests around their room in darkness. The formula for The Address at Dublin 1 is luxury and privacy; with its own exclusive rooftop Club Lounge offering amazing views of the city and award winning dining in McGettigan’s Cookhouse & Bar, it’s a top class product that’s exclusive and self-contained. “The vision was to deliver the very best hotel possible and given its excellent location we want to maximize its potential” said Brian McGettigan. Whether your day is filled with business meetings or exploring the city streets, you can retreat to luxurious surroundings at The Address at Dublin 1. With four distinctive dining offerings - the exclusive Roof Top Lounge and outdoor terrace, McGettigan’s Cookhouse & Bar, the recently opened Parlor, as well as a newly redesigned restaurant – you can enjoy top class cuisine with a view, in comfort and in style. Rates start from €229.00 and includes extensive complimentary Continental Breakfast in the Club Lounge, when booked directly on the website - www.theaddressatdublin1.ie. Would you like to win a gorgeous two night break with breakfast with one evening meal at The Address? What street is The Address located on in Dublin? Email your answer to competitions@iconicnews.ie before Tuesday July 3 at 8pm.